Once a passive breed of mouse, when night falls the Lycan transforms into a massive beast that strikes fear into even the most steadfast of hunters. Known to stalk shadowy forests and graveyards, this mouse possesses incredible speed and power. A hunter should be well-prepared before seeking out this adversary. Capturing this mouse may break its curse, potentially revealing secrets about its origins. The Lycan Mouse is attracted only to Moon Cheese, Crescent Cheese and Radioactive Blue Cheese. No Charms are required to attract the Lycan Mouse. Hunters can encounter the Lycan Mouse in the Catacombs, Forbidden Grove, and Mousoleum locations. Hunters must capture the Lycan Mouse in the Mousoleum location in order to obtain the Shredded Furoma Map Piece. The Shredded Furoma Map Piece allows Hunters to access the Training Grounds location. Hunters can take the Shredded Furoma Map Piece to the Bazaar Cartographer to repair it and obtain the Stitched Furoma Map Piece which allows Hunters to access the Dojo, Meditation Room, and Pinnacle Chamber locations. Hunters may be required to catch the Lycan Mouse to obtain Nuclear Garlic while working an M400 Bait Research Assignment. Nuclear Garlic is required to craft Fusion Fondue which is used to attract the M400 Mouse. Attraction info and special event loot drops for the Lycan Mouse can be found at the individual event location pages. The name and visual appearance of the Lycan Mouse is based on common incarnations of the lycanthrope legend. January 2009: For a brief period, the Lycan Mouse was also attracted to Cheddar Cheese in the Mousoleum. June 2010: The Lycan Mouse was removed from the population of mice available in the Training Grounds. This explains why the Lycan Mouse drops the Furoma map piece. 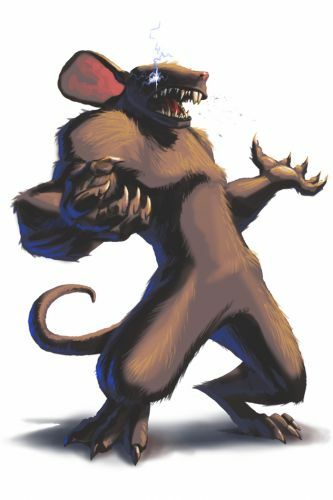 In the Training Grounds, the Lycan Mouse was known to drop Radioactive Blue Cheese as loot. 14 April 2011: The Lycan Mouse began dropping the Green Plaid Egg in the Catacombs as part of the the Spring Egg Hunt 2011 event. 18 April 2011: The Lycan Mouse began dropping the Wavy Purple Egg in the Mousoleum as part of the the Spring Egg Hunt 2011 event. 29 July 2015: The strength of the Lycan Mouse was reduced and it's chance of encounter was increased in the Mousoleum. This page was last edited on 23 October 2018, at 15:57.